As hypnotherapists we have lots of strategies for working with specific issues and specific clients. In fact we learn so much about the importance of client centered therapy, that it�s easy to forget that during our sessions with them, we ourselves are in that relationship with them (with all our own stuff)! 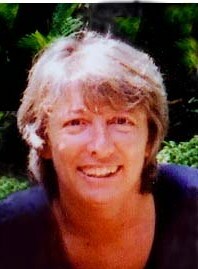 Irene Colevile holds a degree in Sociology and Philosophy and is a Clinical and Medical Hypnotherapist, and Counselor. She is also trained in NLP & Time Line therapies (M. Prac. ), EFT, Past Life Therapy, Transactional Analysis, Gestalt Therapy, Parapsychology, and has undertaken several courses in Psychosomatic Medicine. In addition to seeing individual clients, she has presented courses in Past Life Regression, Self Hypnosis, Balancing the Chakras, and The Chakras and Psychological Stages of Development. Many people around the world know Irene from her insightful and effective responses on Hypnetwork, a Yahoo! group that she contributes to regularly.